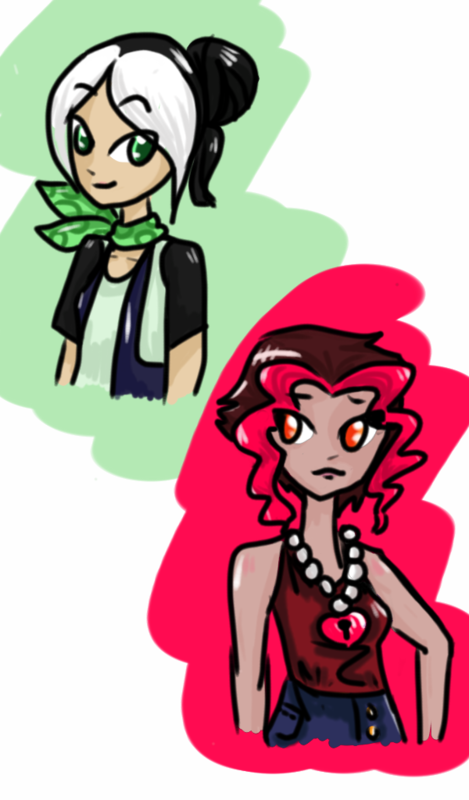 suddenly human Jasmine and Tess. I'm testing a new coloring style and I'm pretty sure I forgot something but OH WELL. Huh, that's an interesting take on Jasmine's hair in human form. Although knowing her, she wouldn't dye her hair like that, but interesting! the heart-lock pendant is very appropriated.